Only 11 left in stock - Order today! Steady Sticks balance wine stems in any outdoor setting. Weather resistant stainless steel holders are sturdy and simple to use. 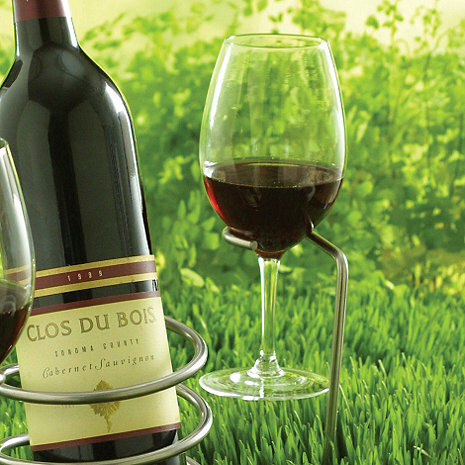 Just push one (or several) into the grass or sand for spill-free wining and dining. Set of 2. Love these wine holders for backyard and beach gatherings.